Enjoy the Full Moon's beautiful dishes for less! Three courses for £13.95 served Monday - Friday 12 noon - 2pm, or opt for two courses for £12.95 served Monday - Thursday 5.30pm - 7pm. Book online for free text confirmation or call 01636 364 251. Wednesday night is date night at the Full Moon Inn! Receive a complimentary bottle of wine when you order two steaks from the specials board. Book online for free text confirmation or call 01636 364 251. 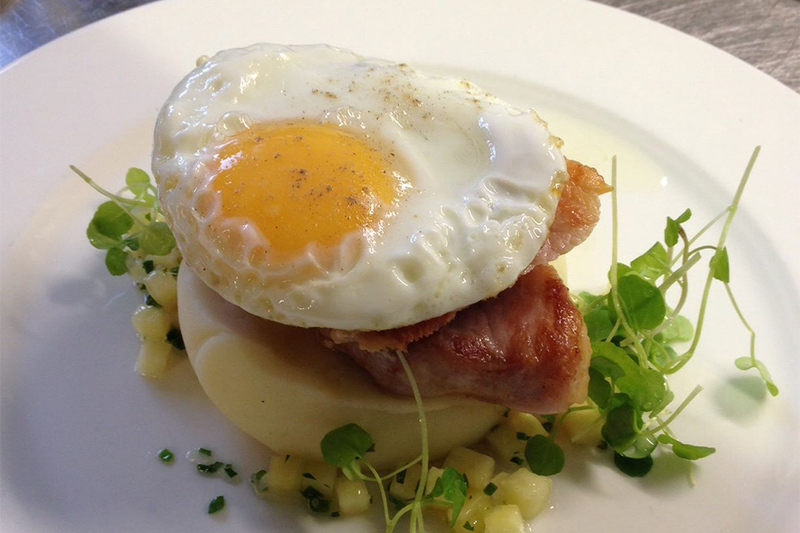 At The Full Moon Inn on Mondays you can choose from a selection of seven classic mains for just £7.00 each. Served 5:30 - 7pm. Book online for free text confirmation or call 01636 364 251. The perfect thing for a weekend date night! Enjoy a deli sharing platter including olive and tomato tapenade, milano salami, chorizo, prosciutto, artisan bread, olive oil and balsamic vinegar PLUS two glasses of 175ml house red or white wine. Available Friday, Saturday and Sunday, 5:30 - 6:30pm. Book online for free text confirmation or call 01636 364 251. Fantastic food and service at very reasonable prices - highly recommended ! We very much enjoyed our meal at The Full Moon and would recommend it to anyone. We ate there again today but it was booked by a friend. We will certainly go again. Really enjoyed our meal with very good service in lovely surroundings. Really enjoyed the delicious food. My sister and I both had the same meal, starter and main. We had intended on having a pudding but we were to full so had coffee instead. We would both recommend this restaurant to others. A friend & I who now live in different counties have been meeting up half way for a number of years. We had, for some time, met at another 'outlet' but we became dissatisfied and looked elsewhere and have now been coming to the Full Moon for quite a while. The food is very good & the staff are attentive. This is not the first time we have eaten at the Full Moon Inn- and what a pleasure it has been! We chose here for my husbands 60th, and I have to say everything from service to food was impeccable! 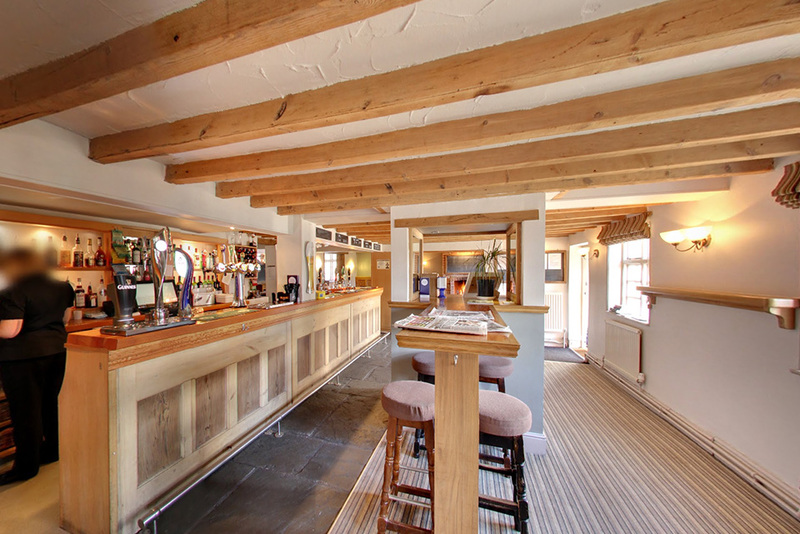 It's just the perfect country pub, with excellent gourmet food and fabulous atmosphere. whats not to like? You won't be disappointed! A super meal. The vegetables were cooked beautifully, the meat was delicious. Puddings were fought over as we each tried each others! The service was attentive and welcoming and the children enjoyed playing in the park area whilst we talked in between courses. Met my Aunt for lunch, we do this about once a month. The Full Moon is a lovely, pretty pub, nicely decorated and with a lovely outdoor seating area, where we chose to dine as it was a warm day. Our lunch was delicious and well presented. The staff were polite, friendly and attentive. I would not hesitate to recommend. Lovely place to eat, attractive pub in pretty surroundings. Good choice of food, which was delicious! Really enjoyed our meal and will definitely go back. Loved the food good service and great hygiene. Lovely Sunday lunch in a very busy pub restaurant, perhaps a little noisy and service at times a little slow but would definitely go back. Really enjoyable Sunday lunch, with great beer & very good service! We had the Sunday roast beef dinner which was excellent. The wine & the selection of real ales were very good indeed. 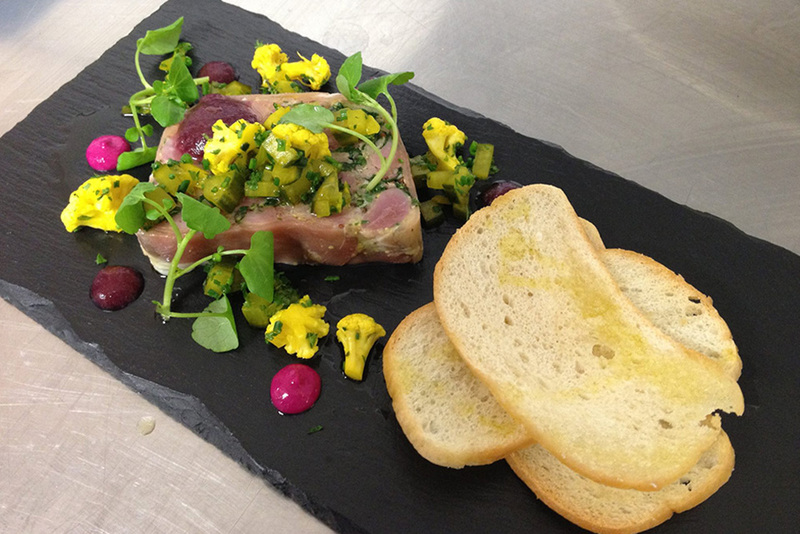 The service was also excellent and we really enjoyed this, our 2nd visit for a meal here. I would say it was very good value and would highly recommend The Full Moon to anyone. We will certainly be going back again. Well done to everyone at The Full Moon! Had a really lovely meal with chicken for me and my friend had salmon, both cooked beautifully. The staff were extremely lovely and took photos for us as it was my birthday! Very nice setting and the staff were very attentive. We had an excellent meal. The service was excellent! The food was very good. Would definitely recommend! The Full Moon is an excellent, modernized pub set in a charming village right off the beaten track. The welcome and service were excellent, the food of high quality both fish, meat and vegetarian dishes which my party tried. An excellent white Chilean wine for less than £16 and deserts we were enthusing about all the way home. The bill, for one who lives in Kent was a shock for its excellent value. Will certainly return for special occasions, as this was, or for an evening out. I was disappointed that I was overcharged for my dinner. The booking was for 7pm and there was a deal of having fish and chips for £7 at 7. My friends and I were all charged full price, which I think was unfair. Service was mediocre at best and there was no ambience whatsoever, the food however was delicious. 9/10 for the Full Moon Inn. 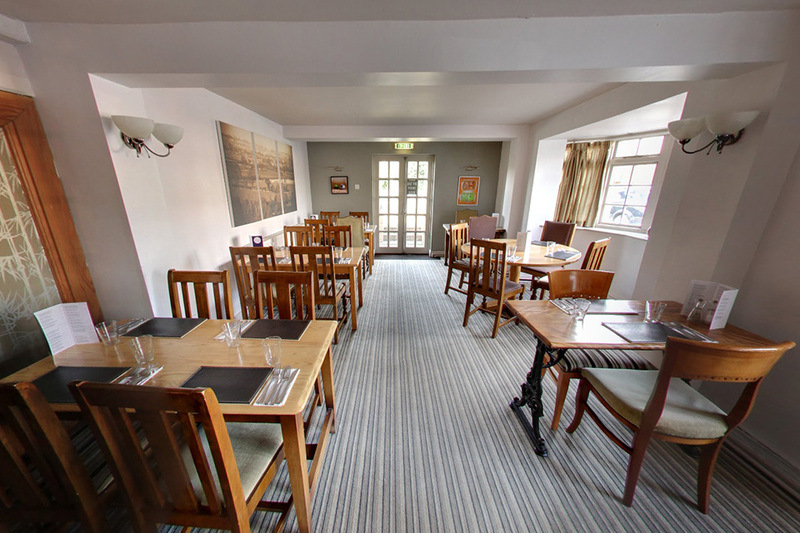 The Full Moon Inn can be found in Morton, a tranquil village close to Southwell and the River Trent. 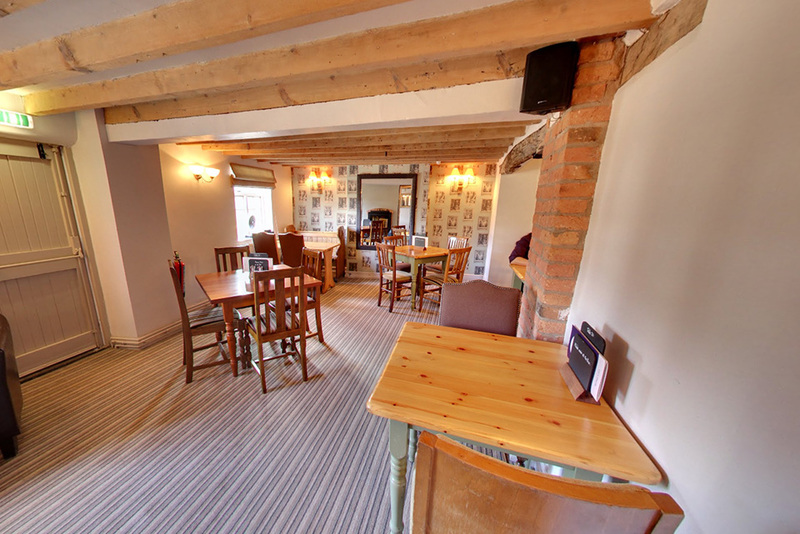 This redbrick country pub, restaurant and wedding venue serves a menu of British dishes with added contemporary twists. 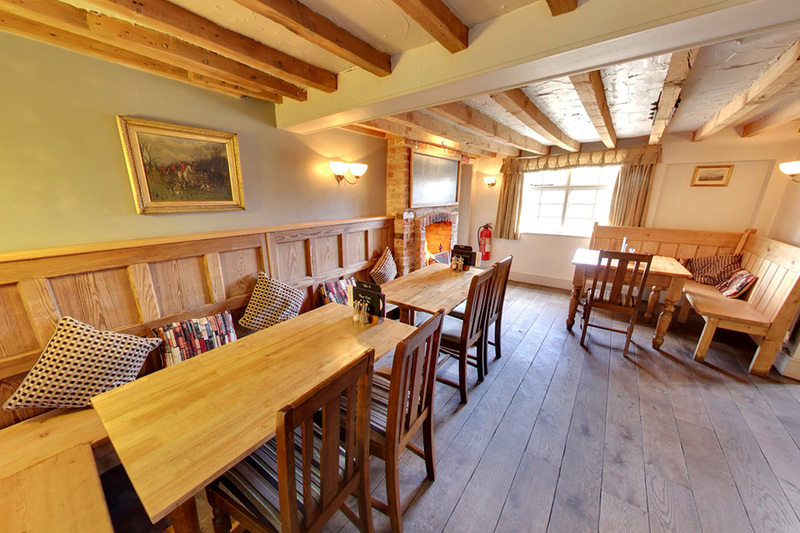 Head to the Full Moon Inn for a warm welcome in relaxing surroundings whatever the season; escape from the cold by sinking into arm chairs in front of a roaring fire in the depths of winter, or alternatively catch the British sun in the garden and outdoor dining area during the summer months. A contemporary bar showcases local and national brewers and visitors of the younger variety are equally well catered for with an outside play area and indoor toy cupboard! The venue is ideal for larger gatherings, and often hosts weddings. The space itself is split into a restaurant and bar area - perfect if you're in the mood for dinner or drinks. 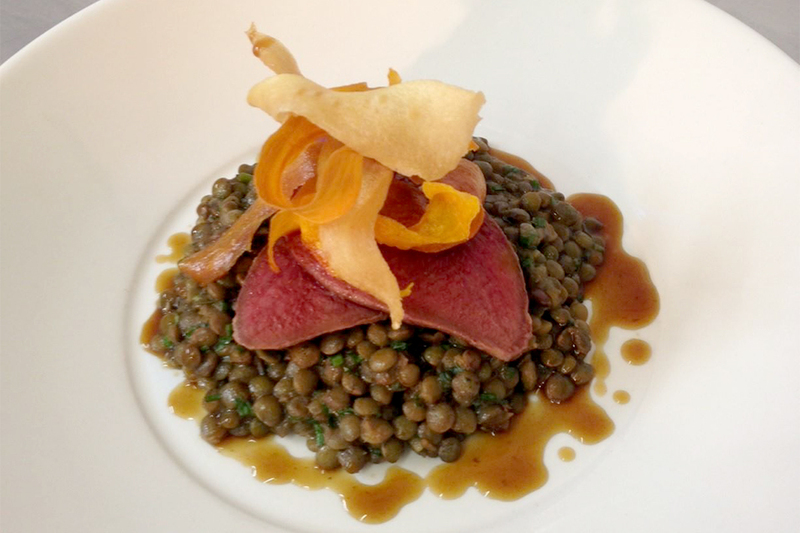 The range of menus available feature innovative takes on British classics, the work of the renowned head chef James Stanton, whose kitchen uses only the finest produce that is sourced locally whenever possible. An evening on the à la carte menu could begin with a goat’s cheese fondue or an authentic continental sharing platter, followed by the braised blade of beef and parmesan mash or pan-friend sea trout with gnocchi. A brioche bread and butter pudding or well-stocked cheeseboard would be a fitting end. 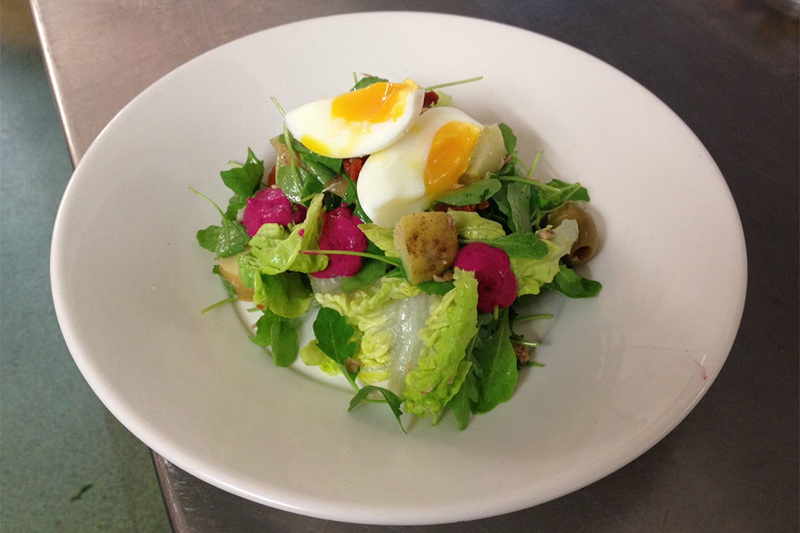 The Lunch/Early Bird set menu served at the Full Moon Inn is renowned for its exceptional taste to price ratio. Options from this menu include pan-friend salmon, beetroot and horseradish risotto to start, mains such as beef bourguignon or moules marinière and no one can resist a Bailey’s chocolate pot when it comes to dessert. A range of light bites and sandwiches are also available for those with smaller appetites. Why not opt for the half soup, half sandwich option if you’re struggling to decide? 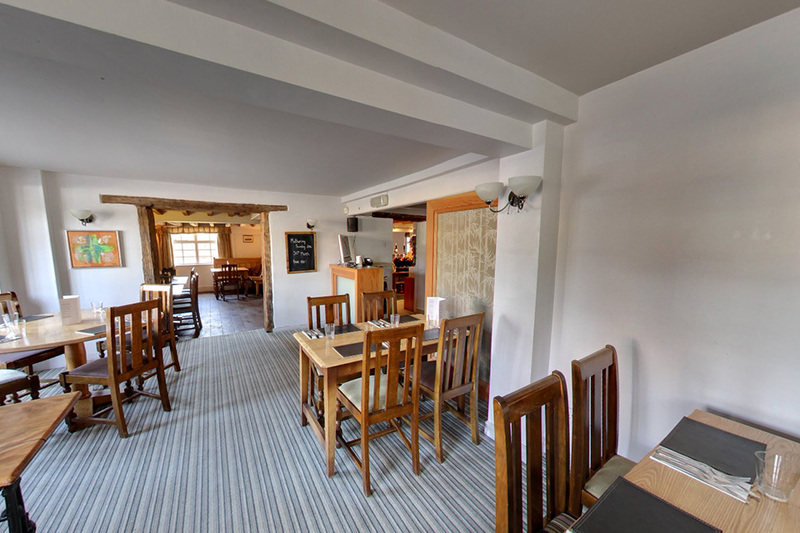 Sundays at the Full Moon Inn offer stylish starters followed by a choice of roasts, fish and vegetarian dishes as well as a selection of desserts. A children’s menu is also available. Contemporary in appearance yet traditional in flavour, the varied menus at the Full Moon Inn will delight all palates; it's the perfect location for larger gatherings or the quieter lunch. Our food is fresh and cooked to order please allow time.